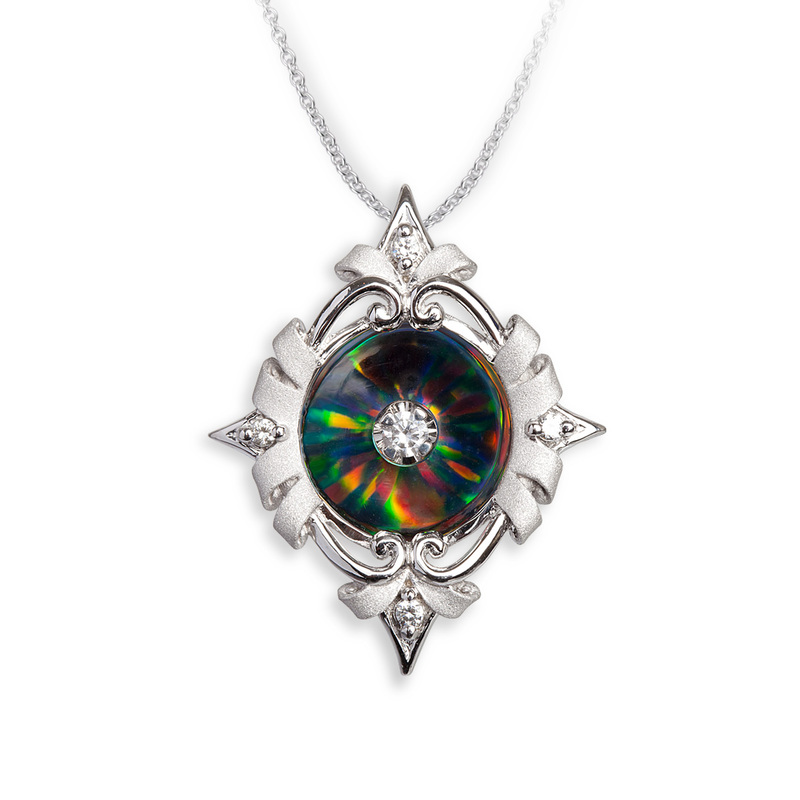 Each piece of Illusia jewelry shows shimmering color from a hidden source--beneath the center diamond an unseen lab-grown opal whose color is reflected in a highly polished, curved setting. Chi Huynh, the collection's creator, has designed a magical illusion in precious metals and gemstones. Each piece comes with its own "Illusia" gift box, a beautiful presentation piece that shows the jewelry almost floating in air. 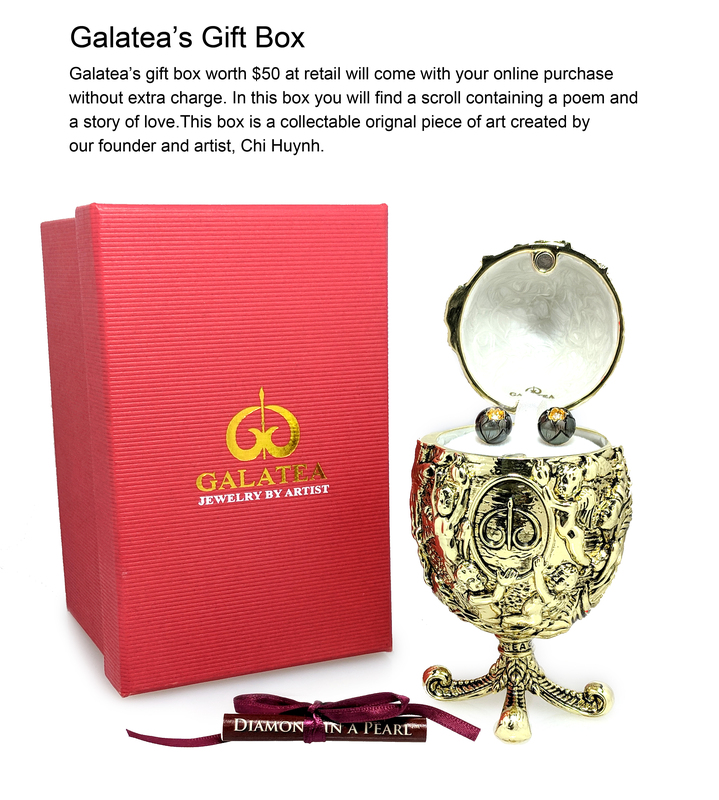 Illusia from Galatea: You must hold a piece in your hands to truly appreciate its beauty.